A cousin to Samsung's 2018 Galaxy A8 and A8+ models that gives a lot more attention to imaging, the Galaxy A8 Star's pros and cons likely secure it a seat alongside the best photography-driven smartphones. 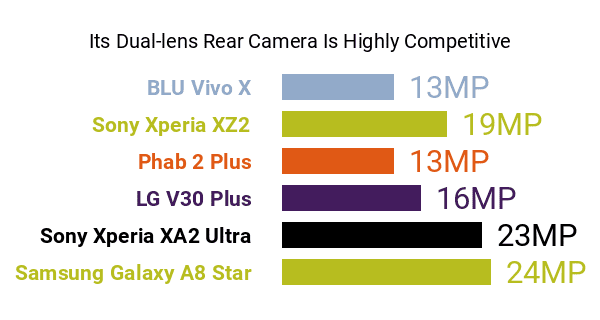 Before we talk about its cameras, however, here are some slight drawbacks lurking within its specs list. The A8 Star starts out with only 64GB of native storage , which sounds rather shabby, compared to the 128GB or even 256GB internal storage memories offered by a few other high-caliber photography smartphones. Moreover, despite its large 6.3-inch Super AMOLED screen resembling those of many of the best phablets around, we cannot help but wish that it reached for a QHD+ (1440p) resolution, instead of settling for an FHD+ (1080p) interface , if only to match the sophistication of its cameras. Speaking of cameras, the A8 Star shines most on the imaging front, boasting one of the most-ambitious dual-lens rear cameras around , consisting of a 24-megapixel primary sensor and a 16-megapixel deputy cam, together delivering things like Live Focus , which enables users to manage the blur levels of their shots, and Ultra HD/4K(3840 x 2160) video-recording . Its lack of optical image stabilization (OIS) is a regrettable con, though, especially considering its forenamed camera resolutions. 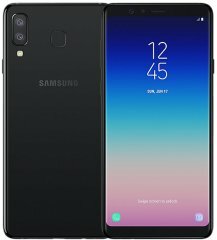 The Galaxy A8 Star also outshines its A8 and A8+ cousins in terms of raw selfie cam resolution. In fact, it looks to squeeze itself into this Phonerated list of the best phones for selfies by rocking a whopping 24-megapixel f/2.0 front-facing camera . Its selfie-oriented pros and cons include Smart Beauty and Pro Lighting -- both tailored to the occasional vanity shot -- as well as AR stickers. As for its hardware components, this Galaxy A model is powered by a 2.2GHz + 1.8GHz Snapdragon 660 processor befitting a high-caliber photography phone. It works hand-in-hand with a respectable 4GB RAM, while a 3700mAh battery, which, by 2018 high-end standards, is neither disappointing nor head-turning, is in charge of the phone's power supply. Also, its body measures only 7.6mm slim , making it one of the thinnest models in this Galaxy family -- check out some of the thinnest phones here. As revealed by this technical review, the Galaxy A8 Star's brightest pros are its cameras, consequently making it a solid choice for mobile photographers and selfie addicts.